China Everbright has posted an $86 million loss for August after being fingered for insider trading. China Everbright Securities just can't catch a break. 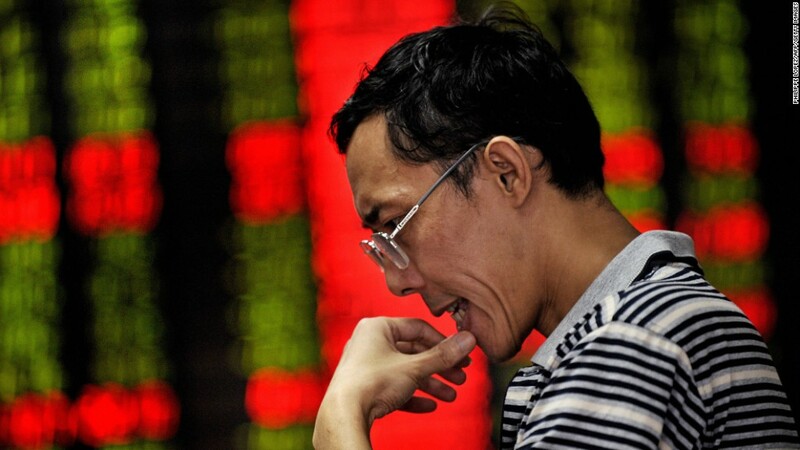 Problems have continued to mount for the state-controlled company responsible for a trading glitch that sent the Shanghai Composite Index soaring 6% in a handful of minutes last month. Everbright posted a net loss of 523 million yuan ($85.5 million) for August due to its trading error, the company said in an announcement filed with the Shanghai Stock Exchange. Shares of the brokerage firm have lost about a fifth of their value since the Aug. 16 blunder, but were trading higher on Monday. News of the monthly loss comes after government regulators slapped Everbright with a 523 million yuan fine last week, and banned the firm indefinitely from trading on its own account. The China Securities Regulatory Commission said Everbright was guilty of insider trading, as the firm failed to inform investors of the electronic trading gaffe before making trades to cover its own position. Everbright said it has since closed all of the short positions it took to offset the mistakenly placed orders, which ultimately resulted in a loss of 4.3 million yuan. The government doled out additional sanctions last week that included heavy fines and lifetime trading bans for four executives. A fifth executive was fined 200,000 yuan. Some of those executives, including the firm's president and assistant president, have since resigned. The company has the option to appeal to the CSRC, but hasn't yet indicated whether it will do so. Everbright's gaffe, the largest such incident in the history since China's capital markets were established, has raised questions over effective regulation and the use of high-speed trading platforms on the exchange. Other markets around the globe have experienced computer trading glitches. Just last month, computer malfunctions caused a trading halt in all Nasdaq-listed stocks and options for more than three hours. In April, the Dow quickly plunged 140 points after hackers managed to send an incorrect tweet about an emergency at the White House. And in 2010, the notorious "flash crash" caused the Dow Jones industrial average to plunge nearly 1,000 points, briefly erasing $1 trillion in market value.